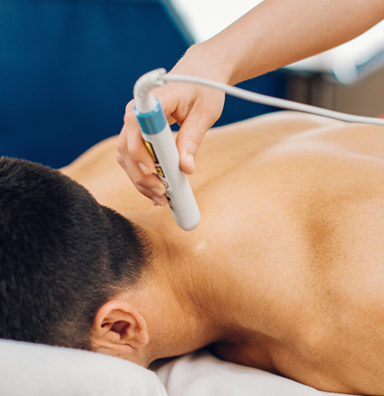 Deep Tissue Laser Therapy is also unique in that it has very few contraindications. Laser Therapy can be used on nearly any part of the body excluding the eyes, the uterus of pregnant women, and over active cancer sites. Laser Therapy can be used as a treatment for arthritis, headaches, lower back pain, tendinitis, strains and sprains, repetitive stress injuries, tempromandibular joint disorder (TMJ/TMD), wound healing, burns, sores, post-operative pain, soft tissue swelling, soft tissue injuries, fibromyalgia, carpal tunnel syndrome, post-operative wounds, and so much more. Research has shown unique benefits to Deep Tissue Laser Therapy, including improving localized blood circulation, reducing localized inflammation and/or edema, stimulates wound healing and tissue repair, stimulates nerve function, and develops collagen and muscle tissue. These benefits stimulate healing and result in faster recovery times. Yes, I would like to receive newsletters from FYZICAL Southwest Florida. Copyright © 2018 FYZICAL LLC. All rights reserved.